Reflection has been proclaimed as a means to help physicians deal with medicine’s inherent complexity and remedy many of the shortcomings of medical education. Yet, there is little agreement on the nature of reflection nor on how it should be taught and practiced. Emerging neuroscientific concepts suggest that human thought processes are largely nonconscious, in part inaccessible to introspection. Our knowledge of the world is fraught with uncertainty, ignorance and indeterminacy, and influenced by emotion, biases and illusions, including the illusion of not having illusions. Neuroscience also documents that lifelong learning processes may hone nonconscious cognition to high levels of sophistication, allowing rapid and precise perceptions, judgments and actions in complex situations. We argue that knowledge of mechanisms underlying human thought may be useful in designing educational programs to foster desired attributes such as curiosity, critical self-awareness and intuitive acumen in medical professionals. 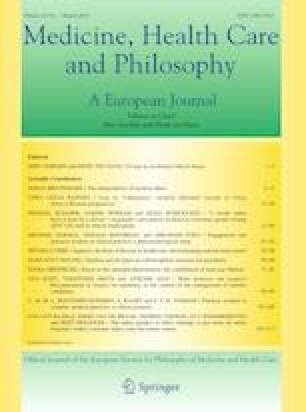 The juxtaposition of neuroscientific insights with ideas from Kant on reflective judgement, van Manen on tact, and Aristotle on phronésis, supports a concept of reflection that manifests as wise practice. We suggest that reflection in medical education should be (a) an imperative for educators seeking to guide learners to manage the complexity and “messiness” of medical practice, and (b) a role-modelling mode of medical practice characterized by self-correcting behaviors that culminate in good and right professional actions. An example illustrates reflective practice in the teaching and learning of physicianship.